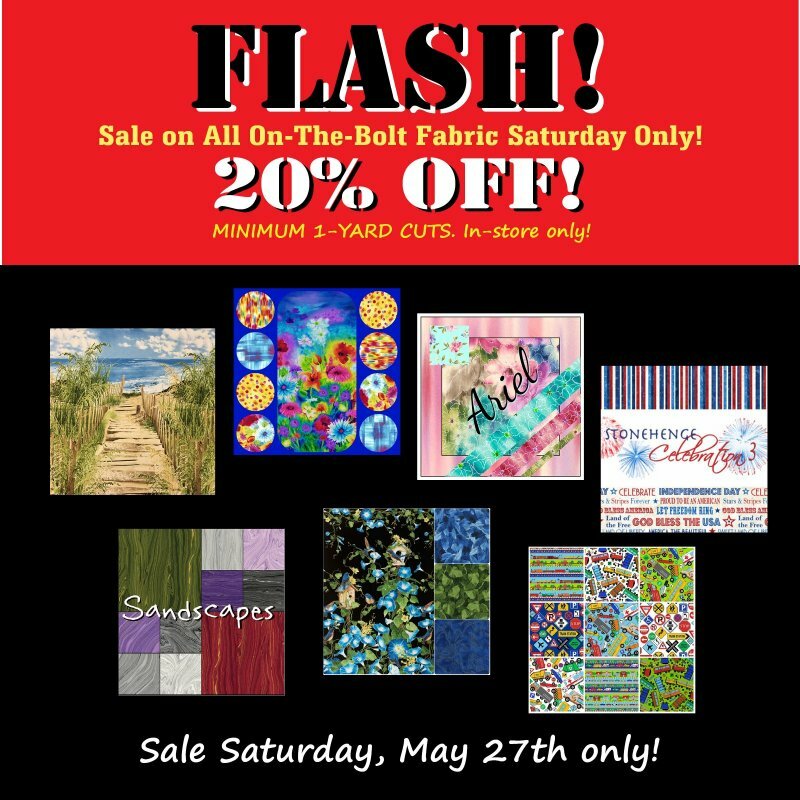 Blue Hen Quilt Shop Memorial Day Flash Sale! All On-the-Bolt Fabric in the shop! It's for sale Saturday only!